Ref: The sphere. Vol. 76, no. 995. London: Illustrated Newspapers, 1918. Many munitionettes worked with TNT, which after prolonged exposure, would turn their skin a yellow colour -- leading to the name 'canary girls'. 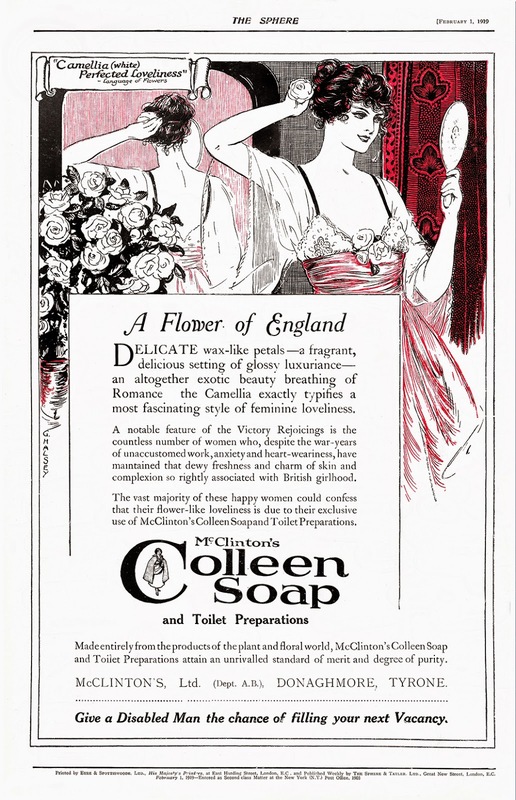 Possibly not the type of woman with "dewy freshness and charm of skin and complexion" described in the advertisement above. Below is a photograph showing a British shell-filling factory, covering an area of nearly ten acres. Other areas of employment for women during the First World War included work in offices, in hangars used to build aircraft, as nurses, ambulance drivers and Red Cross workers. 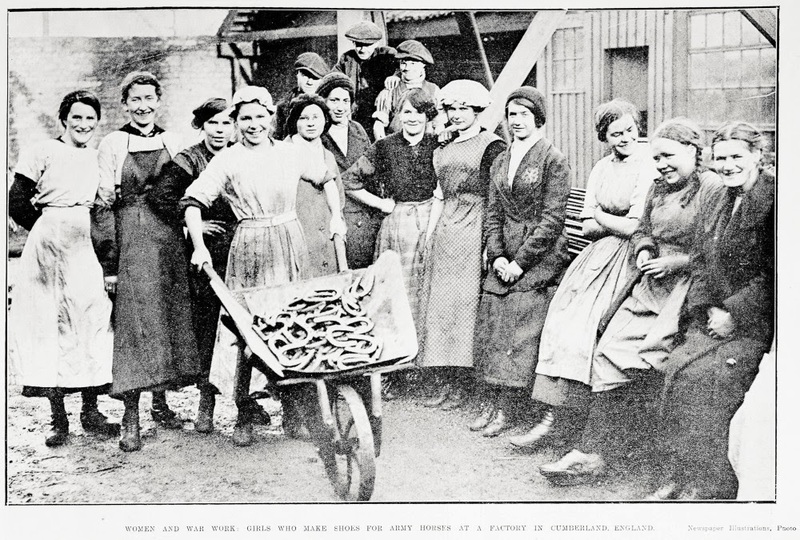 The image above shows a group of young women who make shoes for army horses at a factory in England. 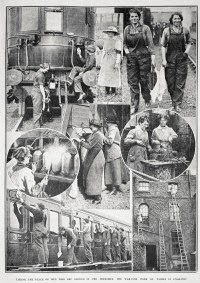 The group of photographs below show women doing a variety of work: scrubbing the outside of a train, welding and cleaning windows from the top of tall ladders. 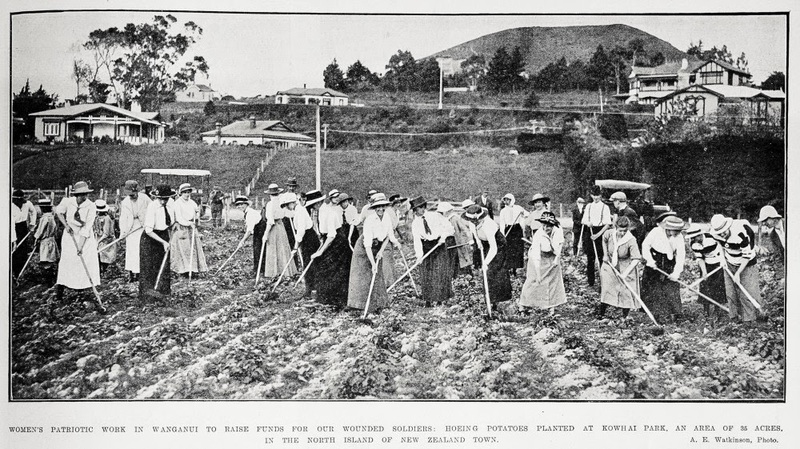 Above is an image of women ambulance drivers rushing to their vehicles and the photograph below shows women in Whanganui, digging up potatoes to raise funds for wounded soldiers. Glen Eden was the site of an munitions factory during this time. The work and impact of the factory on the local community is described in an oral history interview with Bertha Alexander in the Glen Eden Oral History Collection recorded in 1983. It is wonderful that there is an oral history account concerning the Glen Eden munitions factory. An excellent and precious resource.